Meaden Peak is a backcountry skiing gem near Steamboat Springs CO. The tree skiing stays deep long after the storm, and makes the trek well worth it. Like its namesake, the Meaden ski rack promises stunning views while waiting for the next storm. 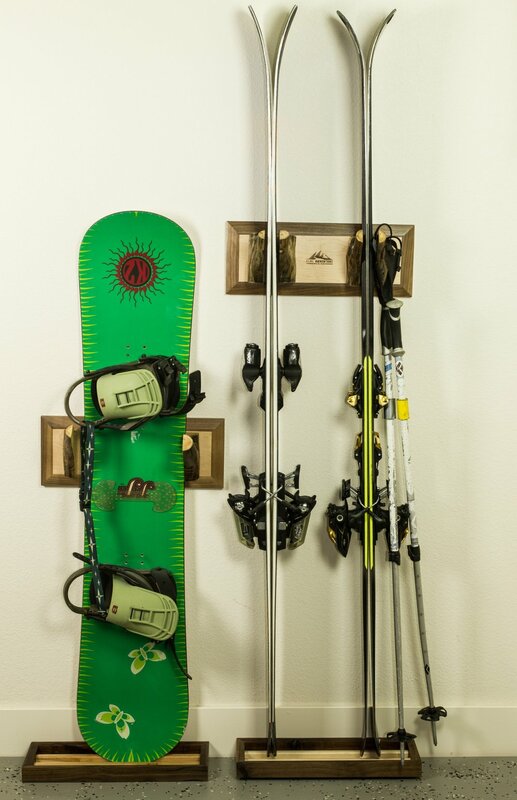 Rare earth magnets attract your metal ski edges and hold them securely against the rack until you want them. Because our ski racks grab the edges of your skis, you don't risk damaging your ski's performance by bending the ski tips. Natural aspen dividers are great for hanging your poles. The base collects all your ski drippings and has soft rubber feet for stability. Mounting Hardware is included with the rack and makes installation a breeze. Th drip tray keeps your skis high and dry. 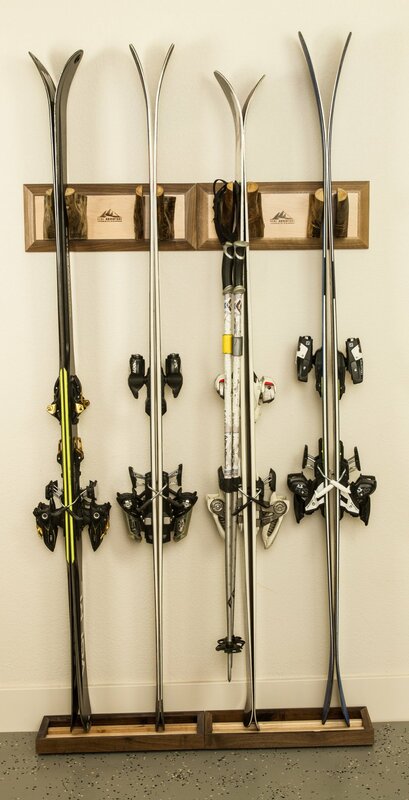 Once the kids are grown, the Meaden ski rack is modular - add them together for more ski capacity. Ski tray prevents skis from dripping on the floor, and rust from forming. Ski tray is coated with epoxy making it water-tight. Leave the ski water in there until it evaporates. Non slip feet on ski tray work on any surface.